You are at:Home»Life»Community»Culture»Chinese Zodiac: Is Love Truly Possible Between a Pig and a Snake? If you have been asked by your Chinese friend, “what is your zodiac sign?” don’t think they are making small talk. Not only will your age be revealed by your zodiac sign, people can also evaluate your personality, career prospects, and even love compatibility. So what exactly is the Chinese zodiac? The Chinese zodiac, or shēng xiāo (“born resembling”) is actually a 12-year cycle that’s calculated according to the Chinese lunar calendar for over 2000 years since the Qing dynasty. 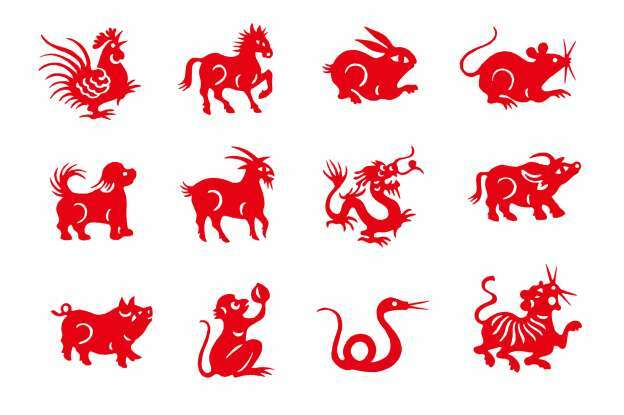 Each year in the cycle is related to an animal sign, which are the rat (鼠, shǔ), ox (牛, niú), tiger (虎, hǔ), rabbit (兔, tù), dragon (龙, lóng), snake (蛇, shé), horse (马, mǎ), sheep (羊, yáng), monkey (猴, hóu), rooster (鸡, jī), dog (狗, gǒu), and pig (猪, zhū). 2019 is a year of the Pig, starting from February 5th 2019 and ending on January 24th 2020. Here are four things you might not know about the Pigs in your life. There are many versions of the legend relating to the Chinese zodiac in different regions. The most widespread one has it that one day the Jade Emperor (玉皇大帝, yù huáng dà dì), which means the Heavenly Emperor in folklore, wanted to select 12 animals as the calendar signs. He spread the message that the earlier each one arrived, the higher rank they would be awarded. Every animal set off towards the heavenly gate the next day, but the pig overslept till he realized he was already late, and could only get the last place. Another version of the story says that the pig set off much earlier than the others, but because he walked so slowly, he was in last place by the time he arrived. If you say you are born in the year of Pig, people immediately know, you are either 0, 12, 24, 36, 48, or 60 years old, which means you are either born in 2019, 2007, 1995, 1983, 1971, or 1959. Pigs usually have great concentration: once they make their mind up, they devote themselves to their decision. They might not stand out in a crowd, but because they are realistic, diligent and energetic, they can make it up. However, they might be too honest or straightforward sometimes, and their pure hearts let them be cheated easily or get involved in a struggle in daily life. Pigs are usually very tolerant and gentle, and it’s hard for them to change jobs. They’ll settle things quickly and wish everyone lived a harmonious life. Jobs related to the environment, charity and social work might be suitable for them. If Pigs are interested in investments or going into business, they need to take some risks and be braver. Some Chinese, especially the older generations, still believe certain animals get on better than the others, because they believe the right combination of animals can bring harmony to their families. They are both gentle, easy to compromise with, and know how to take care of one another. There will be no drama or turmoil in the relationship. They are not really compatible because neither of them is willing to share deep emotions with one another; they’d rather hide their dissatisfaction than get into a argument.